The performance takes place on Friday, Oct. 5, 7:00-8:30 p.m. Downtown Moneta at 1100 Celebration Avenue, Suite 101, (parking in rear). Ticket prices are $10 (SMAC members) and $15 (non-SMAC members). Tickets are available on the SMAC website (smac-arts.com) and at-the-door. Ticket questions: Marty (540) 297-0965 or martbw@gmail.com. Wine, beer and light fare will be available for purchase. Smith Mountain Arts Council (SMAC) is pleased to announce the presentation of "Lake Pitch" on Friday, October 5. 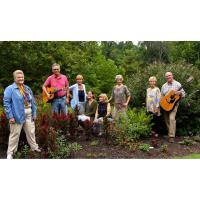 Lake Pitch features eight talented local singers, with guitar and piano accompaniment. 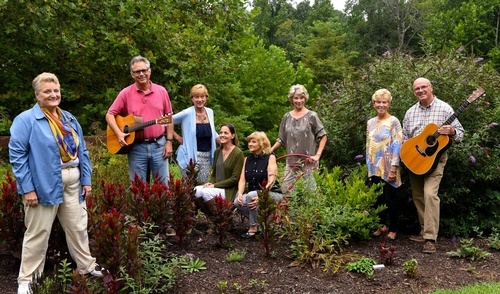 The performers include: Ed McNamara, Elda Smith-Nichols, Mike DeGiorgi, Karen DeBord, Nancy King, Jan Emerick-Brothers, Marion Wetcher, and Dianna Weiner. The program is eclectic, with some original tunes by local song writers, and some favorites, with which the audience can hum along. There will be audience participation, including a little musical game. The evening has been planned for fun, laughter, relaxation, and music.